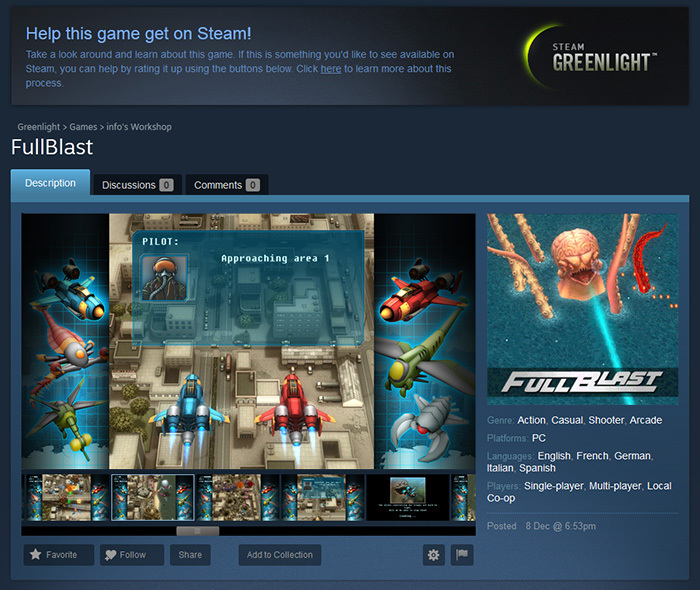 FullBlast hits PS4/PS Vita, XBOX ONE and Nintendo Switch! 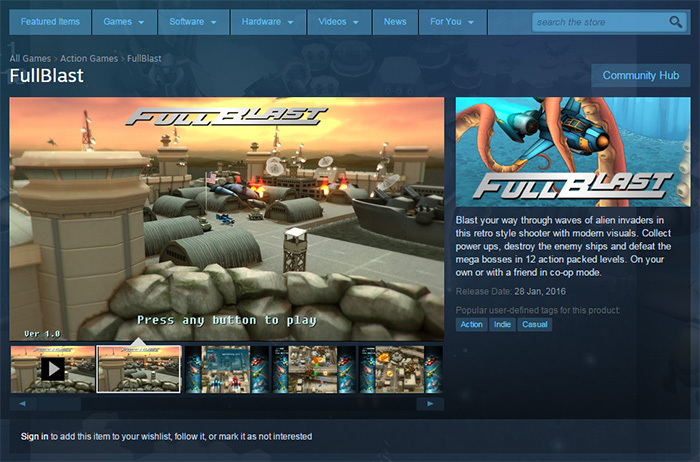 UFO Crash Games and Ratalaika are proud to present FullBlast for PS4/PS Vita, XBOX ONE and Nintendo Switch. 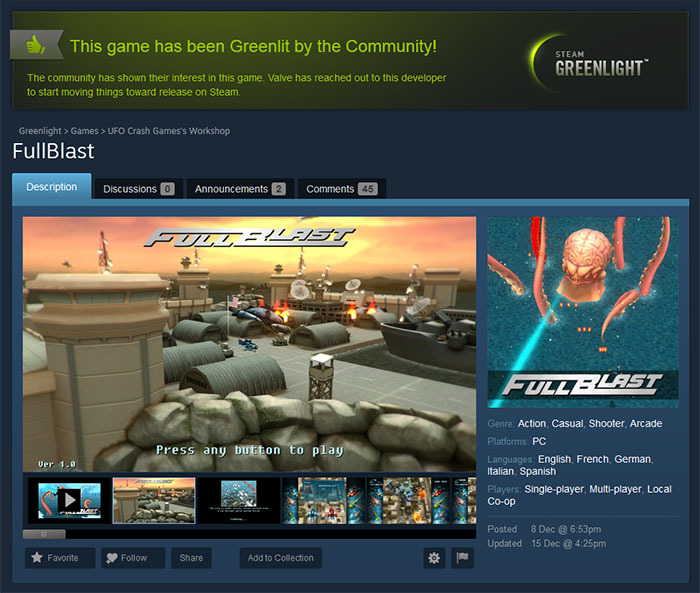 FullBlast has been Greenlit in just one week, many thanks to all of you for your votes and support!!! 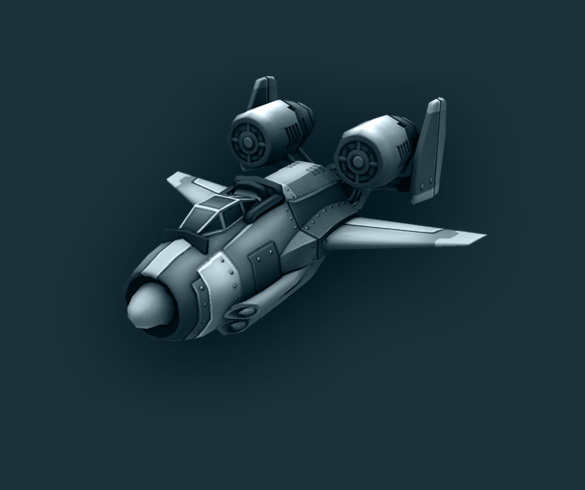 © 2014 UFO Crash Games. All rights reserved.